After my hubby passed away I was so overwhelmed with everything that there was to do. The "tyranny of the urgent" was my life for many days and weeks. For many weeks there were cards to be read in my mail box, bank accounts, bills, credit cards, life insurance questions, and more to do every day. And that doesn't count planning the funeral service and all of the physical things that had to be done in my house. So I stamped cards only as I had a need to do so -- including for my blog or the Technique Junkie Design Team blog. 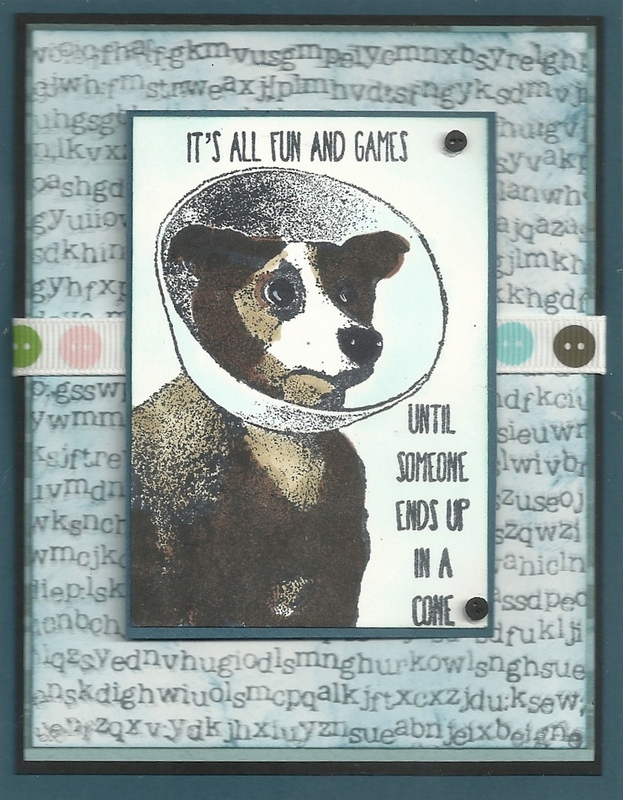 Needless to say, I was woefully behind in stamping the new releases for Technique Junkie Stamps. I have finally caught up with stamping. I still am dealing with the financial aspects of everything but I have reached the point where I have to deal with those things as they appear in my mailbox. It is a weight lifted on my shoulders. 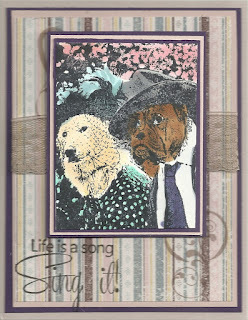 So You will have to bear with me as I share a few cards today created with August release stamps. 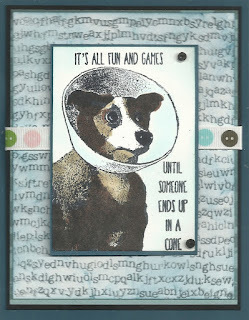 This post will feature "doggie stamps." Another blog post soon will feature other July or August release stamps. 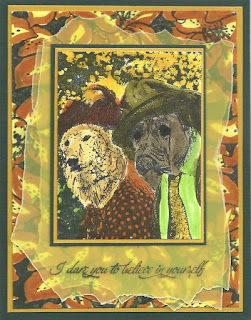 The next two cards use the same doggie stamps - http://techniquejunkies.com/dapper-doggie-couple/. 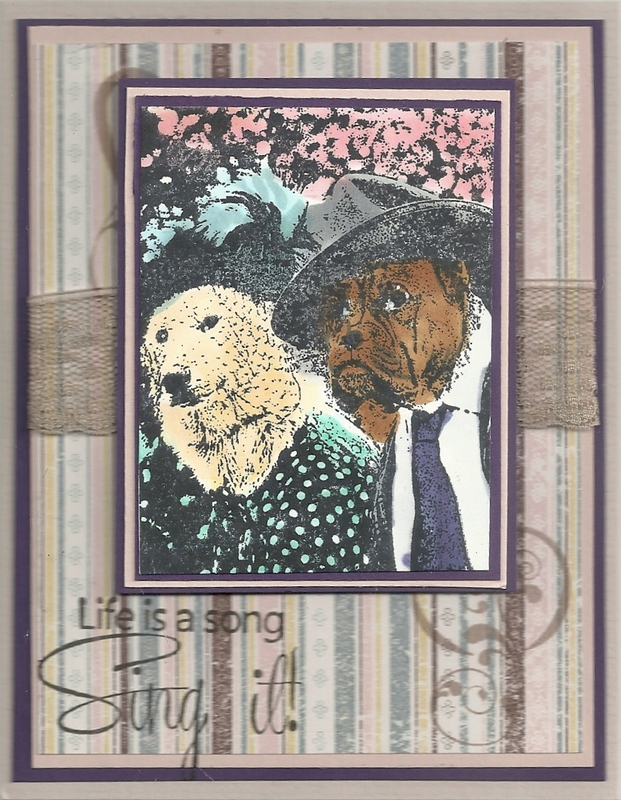 The sentiment and Treble-Clef stamps are http://techniquejunkies.com/life-is-a-song/ and http://techniquejunkies.com/treble-clef-small/. More cards to come! Have a wonderful Labor Day!